I finally opened up the BEIST! 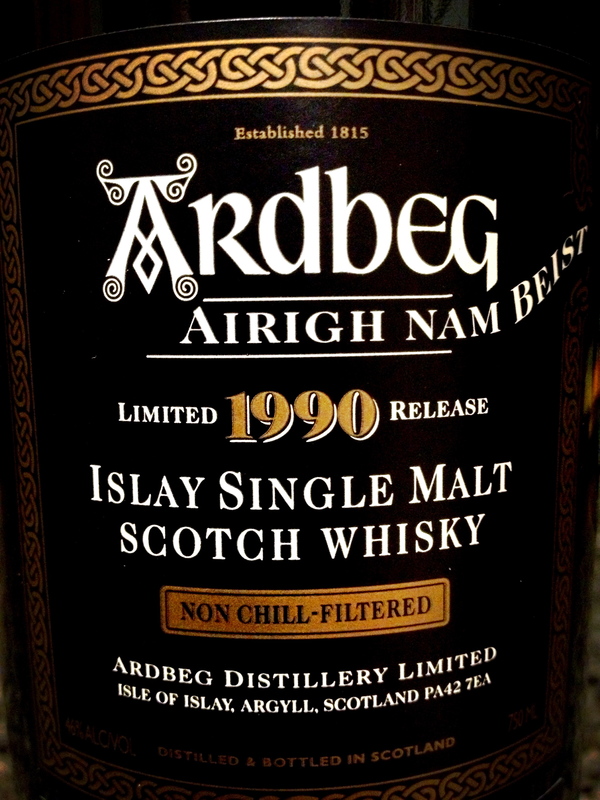 I acquired this one some time ago and consider it among my favorite Ardbeg offerings. Offered up at 46% ABV and non-chill filtered, this is what the Single Malt snob yearns for. Well, that is if they can handle the peatiness that an Ardbeg product typically brings. Though that is what I love about this BEIST. It has a delicate and sweet punch when enjoyed neat and is a bit creamy. A nice oily palate is your reward for letting it linger and run across your mouth. I added a wee bit of water to it and it really starts to show some sophistication. This is just one hell of a product. Ardbeg describes it as “wonderfully creamy, smoky malt, suffused in woodsmoke with notes of fennel and pine nuts, topped with tingling limes”. I love the tingling lime part.I do not think of medicinal or iodine notes which usually accompany a strong Islay product. This beauty is refined, and unfortunately increasingly rare. Most people’s stocks have run dry, only collectors and people like myself have one kicking around. You can probably find one on the internet for around $200 USD. A good friend of mine in NYC fell in love with this dram after we went on a Scotch-Crawl in the city a few years ago. I did have to email her a picture of me drinking it of course just recently. The BEIST is even gentle on exit, the lingering on your palate is even and fades slightly. I have to admit, it is with mixed emotion that I endeavor into this bottle, I know it won’t last long! There is a saying, “Every now and then a blind squirrel finds a nut.” So I was a lucky squirrel the other day when I ran across this peculiar bottling of scotch whisky. I don’t recall ever seeing this and wouldn’t have if I did not stop over into the State of Maryland one day on a return from DC whisky shopping. Islay whisky is iconic and most known these days for producing amazing single malts from Bowmore, Ardbeg, Laphroaig, and Lagavulin. Just to name a few which are my favorites. This Blended and affordable scotch whisky is marketed as a “blend of fine aged whiskies: the most distinctive of these being Laphroaig Single Islay Malt.” It is bottled by Macduff international. Laphroaig is a favorite of mine and you can’t go too wrong starting with their spirit as the base. The marketing goes onto say it “appeals to contemporary tastes.” Nice way of saying this won’t knock your tastes buds off the way regular Laphroaig may. It’s fairly light amber in color and gives off a very nice malt aroma with considerable depth. You do not notice the prevailing phenols that a quarter cask or ten-year Laphroaig may give you on the nose. At 40%ABV I choose to taste this neat, hold it on the tongue for a few seconds then let it go. It has a nice slightly warming presence with an excellent malt taste. It isn’t really rounded or complex and you can feel there is a predominate single malt playing nice with some other whiskies. Unfortunately, I still have a bit of a head cold so I can’t nail down everything I’m tasting but it is a decent dram. Not overly impressive but when you want some Islay malt and want something a bit different, or just cheaper this is a good route. There is a nice oily quality and it does coat the mouth quite well. The finish is mostly clean but the oils do hang around. 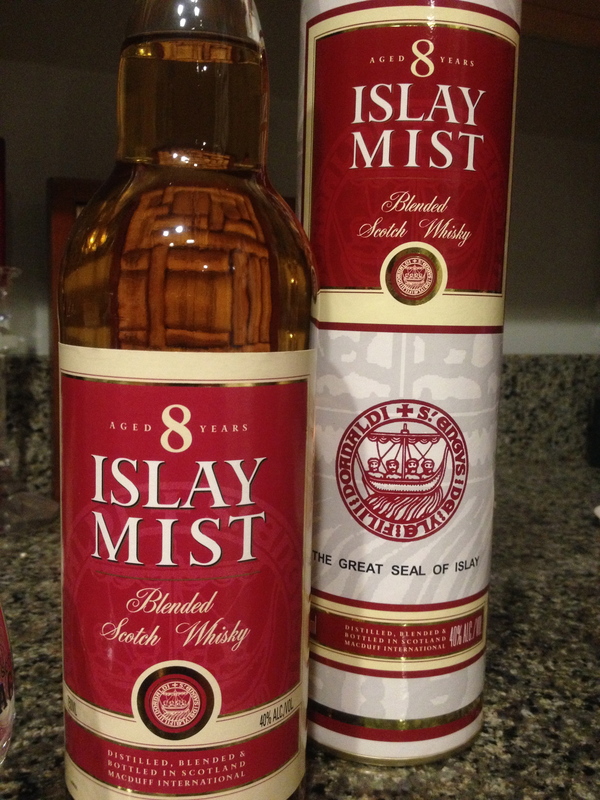 It’s an 8 year blended Islay that deserves a look. I’m glad I found it!